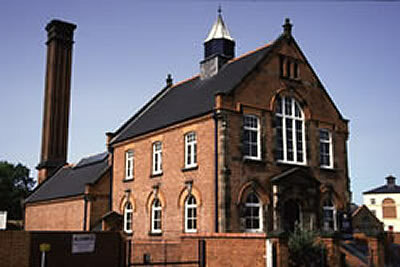 Coleham Pumping Station is situated by the River Severn not far from Shrewsbury’s English Bridge. On the evening of May Bank Holiday, eleven of us spanning several generations met at the Crown, a riverside pub and strolled the short distance to the Pumping Station. The Victorian building, which was built specifically to house the two massive beam engines, resembles a chapel: no doubt influenced by “cleanliness is next to godliness”, which gives a clue as to what it was used for. It’s proximity to the river Severn also explains why, prior to the pumping stations installation, the river smell was so bad visiting judges transfered their court to Ludlow. 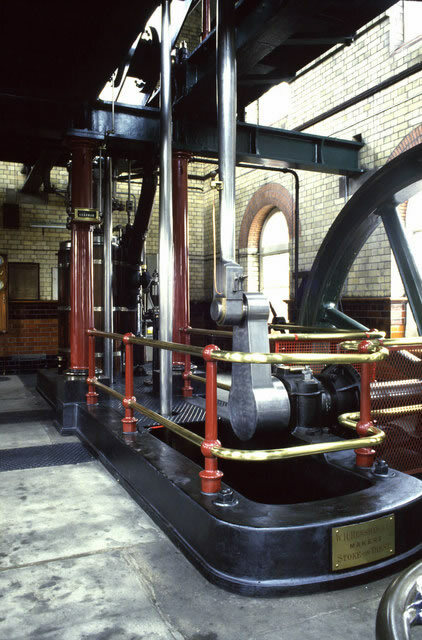 The building was officially opened on January 1st 1901 and the pumping station relied on its two steam engines until November 1970, when electric pumps were installed by Severn Trent. Ownership of the building and steam engines was passed to the local council in 1974, but restoration has been carried out by the Steam Trust, a band of volunteers formed in November 1992, who also raise the necessary money and also organise open days for the town’s museum service. 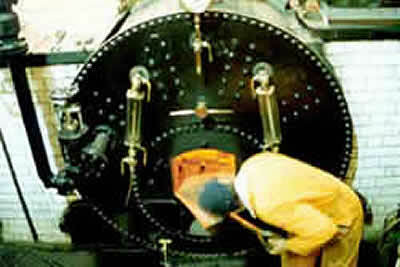 One of the steam engines has been restored to working order and it is intended to eventually have both engines working. Being so close to such massive pieces of moving machinery, one cannot fail to be impressed but it was also nice to chat with the enthusiastic steam trust members including the lady stoking the boiler. Afterwards, a number of us returned to the Crown for a very amicable get together. For those who couldn’t make it, Coleham Pumping Station is in steam on the third Sunday of the Summer months, with private parties by arrangement on the following Monday evening. Details can be found on: www.shrewsburymuseums.com/museum/coleham.